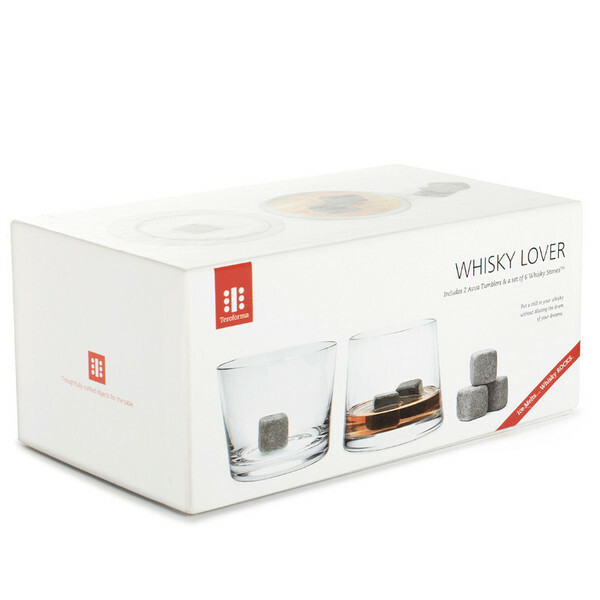 Enjoy your Whisky Stones with their Whisky Lover Set glasses. Each glass is handmade and hand-polished using a compound that is usually reserved for optical lenses. Despite their unique appearance, the glasses are made to be used and are dishwasher safe. Ideal for gifting, Teroforma created the Whisky Lover for those who relish the pleasure of drinks by the fire as a great meal at home with friends somehow carries into the wee hours. 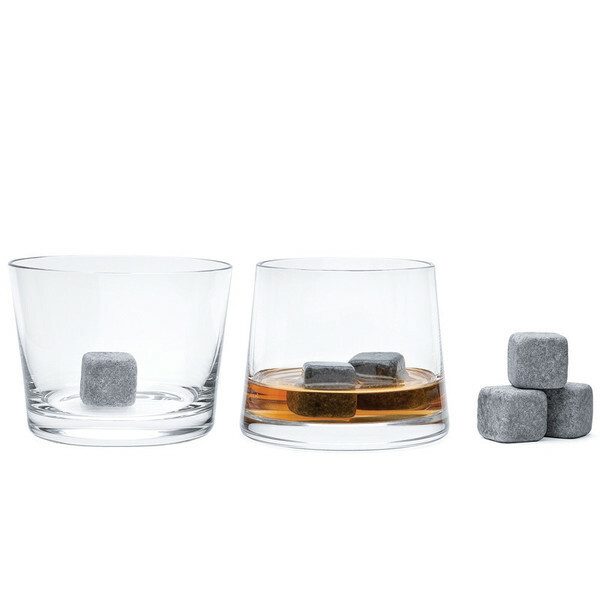 The Set includes 2 mouthblown Avva tumblers (dishwasher safe) and 6 Whisky Stones® beverage cubes. How you drink your whiskey is a matter of preference, but not necessarily of choice, s you might wish your drink to be chilled but not watered. Ice is great to get the sweet nectar chilled, but it always ends up melting and kicking down the door on the flavors instead of just opening them up. 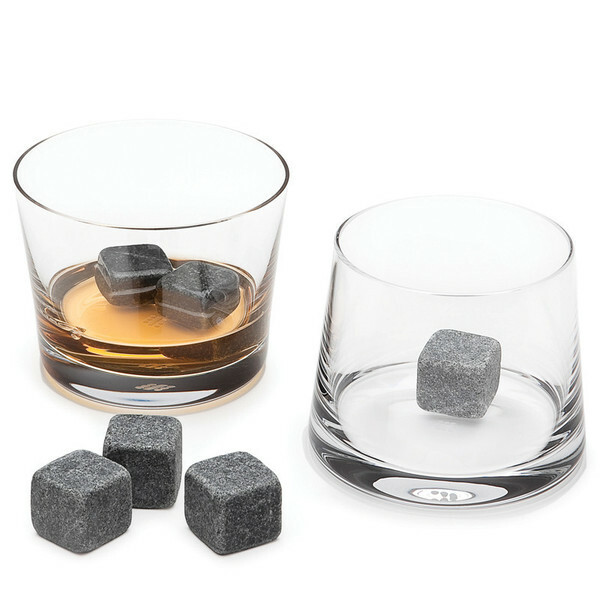 With a set of whiskey stones you can enjoy your beverage of choice (it doesn’t have to be whiskey) cold and still be neat. 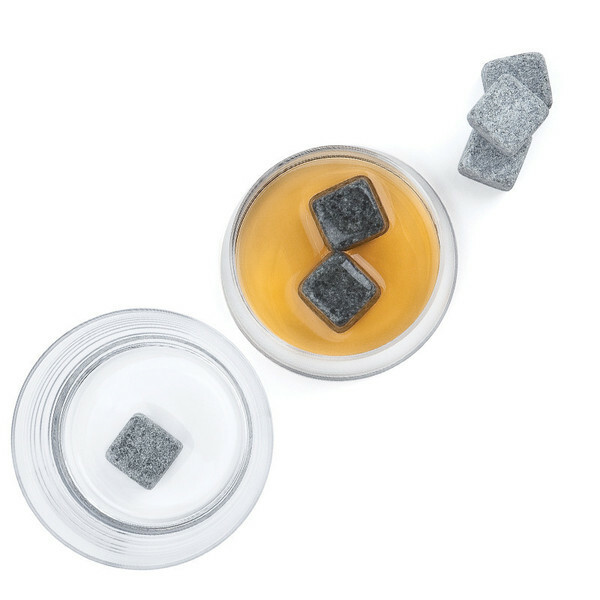 Six stones are included in this Whisky Lover set so you can consume it with another, and since these are milled by the oldest soapstone workshop in the US you’ll be consuming for years to come. 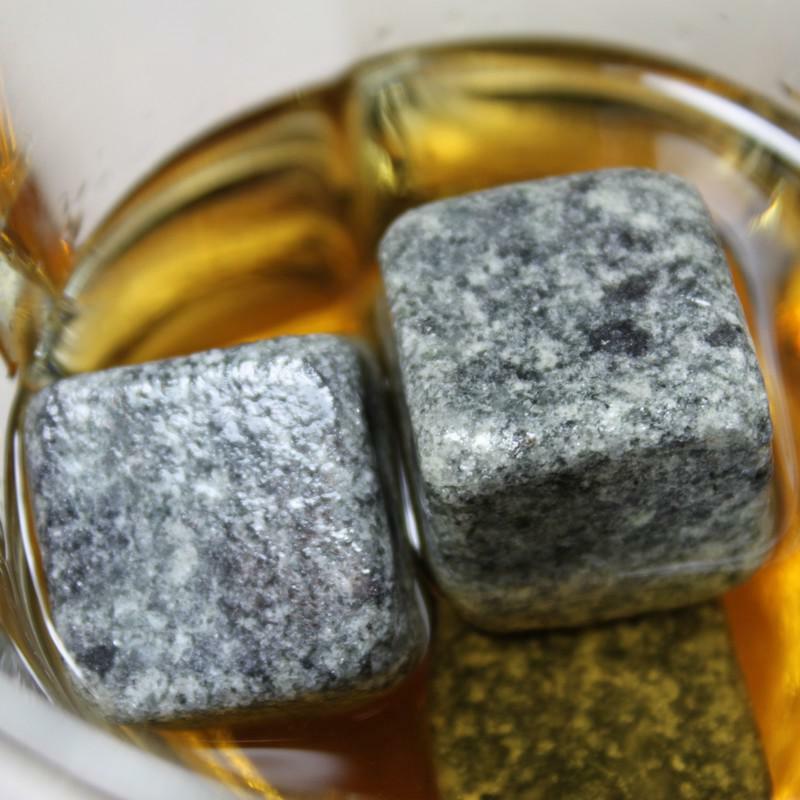 Whisky Stones have the ability to maintain the temperature they are given for up to 20 minutes after you take them out the refrigerator (or microwave oven!). That is enough time t enjoy your drink. The softened edges, as well as their incredibly soft and light soapstone material, protect your glasses from scratches and your teeth from chipping, but you can still pretend to be stone-cold fearless, and drink your whisk(e)y as such! Set of six whisky stones included. Milled and handcrafted in Vermont. Muslin storage bag to store in the refrigerator. Not for use with larger volume drinks (3 cubes per serving). Refridgerate for 4 hours at least, wait 5 minutes after serving and enjoy!